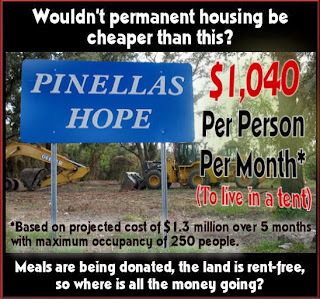 Oscala, Florida has proposed a sanctioned homeless camp modeled after Pinellas Hope, just over 100 miles south in Pinellas County. 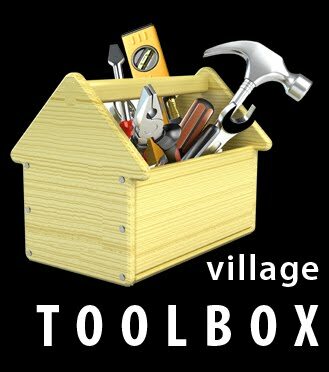 But the proposed Open Arms Village has faced significant opposition. Pinellas Hope, managed by Catholic Charities, was established after an impromptu tent city was slashed to the ground in downtown St. Petersburg. The site is several miles out of town at the end of an industrial road. While it is the only legal tent city in the U.S. not along the West Coast, it has largely be portrayed as an attempt to rid the city of the homeless. It is a rare example of a tent city that is vertically organized rather than self-managed. In my visit to the site, I found it to resemble a traditional homeless shelter, only outdoors. Some have questioned the motives of Catholic Charities, who received a large grant for the project that was tied to successful results. A former volunteer writes, "Faith based rehabilitation is big business in Florida... Make no mistake that place is run like a business, and the business model is based on privately run jails." Graphic by "Stop Tent City" campaign. 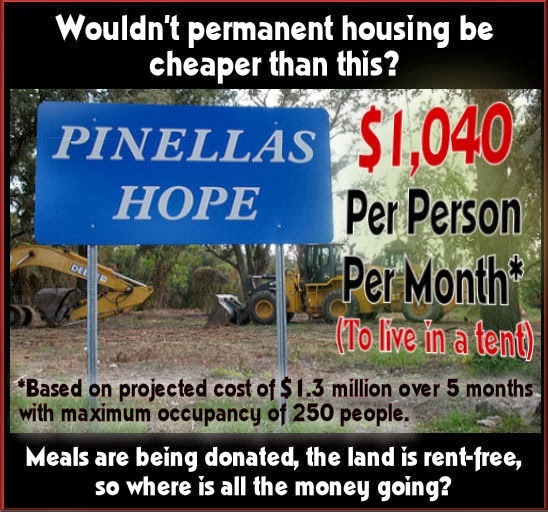 Catholic Charities tried to emulate the Pinellas Hope model in neighboring Hilsborough County back in 2009, after news of informal tent cities sprouting in the area. But organized opposition led a "Stop Tent City" campaign and the plan was ultimately rejected. Florida has proven to be a fascinating geography for the tent city movement, both geographically and politically. In fact, it is home to 4 of the top 10 meanest cities toward the homeless in the country. A warm climate attracts large numbers of homeless migrants from cold weather in the north. Strict anti-homeless laws have been adopted to detract this. A population that has "earned" their retirement is unapoligetically hostile. And charitable organizations are pushing the business of faith-based rehabilitation to capitalize on it all.